Denise Archie and her son Marcus Archie are recognised as experts in their field of mother/son relationships, living, loving and laughing together and are a passionate 'cheer squad' for the people who join them on their learning journey. Together as entrepreneurs, educators, facilitators and coaches they have built and now run several businesses in Australia and the United States. They advocate for the empowerment of young people and provide the strategies and skills through their 'Art of Kitchen Table ConversationsTM'. They recognise and acknowledge that the 'Art of Kitchen Table ConversationsTM' is truly an art that is slowly dying. Never before in the history of the world of work has the younger generation been the teacher of the older generation. No longer does the 'master' and 'apprentice' model work either at home or in the workplace. Kids are leaving their parents behind. How do we as parents not only catch up how do we keep up with the changes in the family structure and the workplace. Technology is coming so fast and children are growing up so fast with exposure to concepts and new language that parents are really struggling. Denise has a background in education as a classroom teacher for 15 years of both primary and high schools she was published in Certificate l in Work Education and her school to work transition model for 'kids at risk' operated successfully across three states for 9 years as was the forerunner to school based traineeships. Denise has worked with youth in her community for over 20 years voluntarily conducting leadership development programs at numerous youth camps in Queensland, NSW and Victoria. Denise holds a DipEd, Dip Teac, Post Grad in Education and Career Counselling, and her own learning journey took her on a discovery of NLP. She also holds a Master in NLP, timeline Therapy, DiSC and SDI accreditation and their own attitudinal profiling tool 'The Gen Cove IndexTM' which Marcus and Denise developed when building their first business together, The Gen Team. Marcus Archie began his career in education as a High School Teacher. He has a passion for learning which is why he went into education. As a former professional soccer coach, he believes the greatest success can be found in operating as a team. The family is the first team we are apart of, where people learn how to communicate, resolve conflict and develop a sense of self that impacts us for the rest of our lives. The question is, how can we ensure of family life is an enjoyable place where each family member supports and ensourages each other to develop and live up to their potential? How do we ensure everyday, to wake up with a sense of joy knowing everyone is going to have fun, and, more mportantly, coming home with a smile? Denise and Marcus have officially joined forces and have developed two successful companies. One is Bringing Up Your Parents - A parent's guide to Living with and Loving Teenagers and the other is The Gen Team. The Gen Team focuses on the workplace. This is the age where never before has the younger generation been the teacher of the older generation. Denise and Marcus are now recognised as experts in the field of mother/son relationships and working with different generations. What works and what are still the 'areas for practise'. 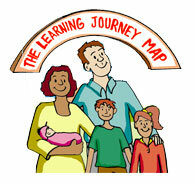 Watch the video for an overview of the Bringing Up Your Parents Video learning Programs. Please join us and schedule a presentation! It seems only a short time ago that 'respect your elders', do what I say I am your mum, or dad or guardian or 'boss' was the mantra for being listened to by the younger generation. This is no longer the case. Parents and Employers from research conducted by The Gen Team has indicated that most younger people want to engage in conversation, learning and variety both at home and in the workplace. 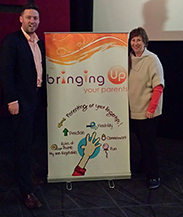 Denise and Marcus are recognised as experts in their field of mother/son family relationships and their presentations provide an entertaining and informative perspective on Bringing Up your Parents. They explore how the rules of parenting have changed somewhat however there are still 5 foundation keys for any parent and their children to enjoy a powerful and successful relationship. Bringing Up Your Parents - A parent's guide to Teenagers: living with and loving them. Marketing and selling to each generation - the 5 key things that make a difference! Bringing Up Your Parents is proud and excited to announce that they have formed a strategic alliance with Jewish House. Bringing Up Your Parents ? 5 keys to healthy family relationships to last a life time has a distinct point of difference. Jewish House is a non-denominational 24/7 Crisis Support located in the eastern suburbs. We know that crisis can take many forms, and Jewish House assists a range of people, from those who require urgent and in-person assistance to those who hold down regular jobs and are faced with unexpected challenges, including business leaders who are dealing with personal or employee-related issues. Jewish House recognises for most people, support involves a combination of approaches and take a multi-disciplinary approach by drawing on a wide range of services. 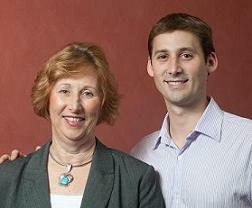 Bringing Up Your Parents is pleased to offer our services through Jewish House. · Love Bites - a school based-domestic and family violence and sexual assault prevention program for 15 to 17 year olds.